When it comes to tasting whisky its good to know that whisky comes in many styles and taste profiles and if you forget the cheap blends that are there for the alcohol kick in mixers and cocktails, there are some fantastic nosing and taste sensations to explore. Whisky is a deeply complex drink, one with many flavours and depths to discover so we have written this guide to help you try and discover these flavours. Hopefully if you follow our whisky nosing and tasting guide you will start to discover and be able to recognise how the different whisky regions and individual distilleries differ in their whisky offerings. But above all we want you to enjoy your whisky and enjoy your personal journey into the world of whisky tasting. Seasoned connoisseur or whisky virgin we hope you find this guide useful. Before you start the nosing and tasting of your chosen whisky, it’s good to take a moment and make sure you’re prepared. By prepared we mean you have at the very least a note pad and pen to hand to write down all the flavours and fabulous tastes you’re about to encounter. To help you with this we have designed a “Whisky Nosing & Tasting Memo Sheet” which you can download for free, to make your notes on. It’s been designed to accompany this guide to whisky nosing and tasting and should help you to record all the fabulous sensations you’re about to discover. Initially you may find difficult it to put down in words your nose and palate sensations. This will come with experience. Part of this is influenced by your diet and taste experiences. The main characteristics are the colour, texture, aroma, taste, mouth feel and finish, which we will cover in more detail later in this guide. One more thing before you get started, you’re going to need a glass! You’re going to need a glass to drink your chosen whisky from. 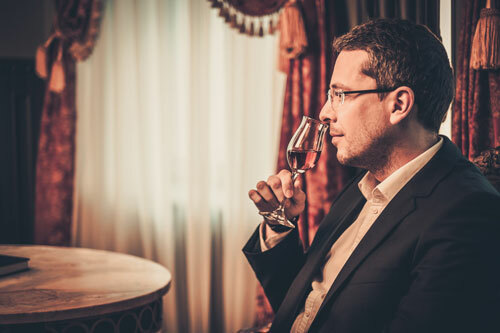 There are lots of specifically designed whisky tasting glasses on the market for you to choose from and they range in price depending on the quality from relatively cheap glass to very expensive crystal. What you choose to drink your whisky from is totally up to you as we all have our own preference. For the best tasting and nosing experience try to select a glass that is tulip shaped, like the one in the picture opposite. If you’re looking for a specifically designed glass then look no further as a dedicated glass has been designed by a gentleman named Raymond Davidson and developed into one such glass by Glen cairn crystal whisky tasting glass. 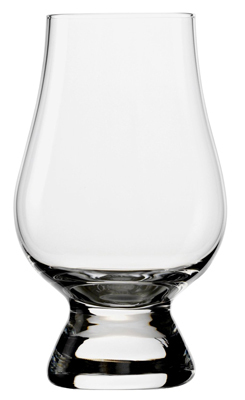 The glass was designed with input from master distillers from five of the largest whisky companies. Of course it is perfectly okay to set off on your whisky adventure on your own however who wants to drink alone? It’s an ideal reason to make whisky nosing and tasting a social occasion and include some of your friends, family or even fellow whisky enthusiasts. There’s an old saying that “Two heads are better than one” and nothing’s more true than when it comes to nosing and tasting. It’s always good to be able to compare tasting notes and see if there are any flavours you’ve missed or if one of your friends was able to identify the taste that you just couldn’t put your finger on! Pour a suitable dram of the chosen whisky and then let it sit untouched for a few minutes. This allows the whisky to open. It’s important that you do this as the whisky has been bottled up for some time, potentially years depending on your chosen whisky. It will need time to breathe in order for the whisky to open up and develop its full array of flavours. Now you have your chosen whisky, take the glass and hold it up to the light observe its colour. If you’re using our free ‘Whisky Nosing & Tasting Memo Sheet‘ then be sure to complete Step 1, by adding an ‘x’ to the colour chart. Use the ‘Whisky Colour Guide’ as a starting point to narrow down the colour you’re observing. Once you’ve narrowed down the colour of the whisky its time to start getting creative! Make a note of the colours you’re observing, try not to just write ‘whisky’ or ‘whiskey’ depending on the heritage of your chosen whisky. Be creative let your imagination run wild. This will take time and practice but try to be as articulate and descriptive as you can. For example flaxen-blonde is much more descriptive than simply blonde when your chosen whisky is particularly pale in its appearance. The more articulate and descriptive you become the easier it will be in the future to differentiate the whiskies colour within your tasting notes. Observe the visual texture of the whisky, this is the weight or legs of the whisky, similar to that of wine tasting, try to observe how the whisky runs down the sides of the glass. Gently swirl the glass in the palm of your hand so that your chosen whisky starts to climb the sides of the glass. Be careful though, we don’t want to swirl or shake the glass too much that the whisky climbs up over the side and spills. What a waste of beautiful whisky that would be! You’re looking for how quickly the whisky runs off the sides and returns to the bottom of the glass. If it runs very quickly then your chosen whisky has a light visual texture. 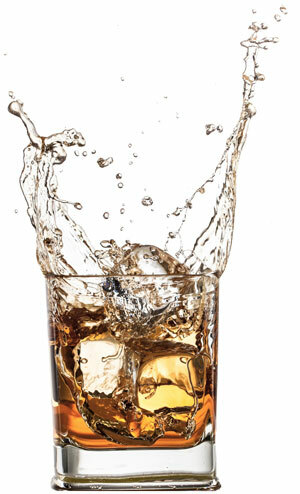 The longer your whisky takes to drain down to the bottom of the glass the heavier or more oily the whisky. If you’re using our free ‘Whisky Nosing & Tasting Memo Sheet‘ then be sure to complete Step 2, by adding an ‘x’ on the visual texture chart. Covering the lip of the glass with the palm of your hand, gently as we don’t want any spillage, shake and swirl the whisky around the glass for 3-5 seconds. Remove your hand from the lip of the glass and briefly allow your chosen whisky to settle. Once the whisky has settled put the glass to your nose and inhale gently. Ideally your mouth should be slightly open and your nose an inch or so away from the lip of the glass. As you’re gently inhaling and without over thinking it, try to visualise what you’re smelling. What are your first impressions? What is the overall fragrance? Is it; light, fragrant, grassy, delicate, fruity, malty, oaky, smoky, peaty, pungent, sweet or is it something altogether different? Make a note of your first impressions, If you’re using our free ‘Whisky Nosing & Tasting Memo Sheet‘ then be sure to complete Step 3, by placing a tick in the box or boxes of the smells coming through. Repeat this for a second time and try to pick out the easier notes like peat, smoke, fruit, vanilla and oak. These should stand out fairly easily to start, though do not be discouraged if you’re not picking these out straight away. Once you have the easy notes, you may be able to take it a little further. You should start to understand the smells further. For example if spice was a note that was coming through at first it will no longer surface. Instead your senses will take you deeper and spice will start to become cinnamon, coriander or nutmeg. Fruit might start to smell of citrus and you might even be able to pick out the actual wood influences of the casks, such as virgin oak, Port, Sherry or Rum used in the different stages of maturation. It will take time and practice for you to start picking out these specific flavours and notes, which isn’t a bad thing as it will give you the opportunity to try a few more whiskies! Again covering the lip of the glass with the palm of your hand, gently swirl the whisky around the glass like you did in part 1, remove your hand and allow the whisky to settle. Once the whisky has settled put the glass to your nose, but this time place your nose into the glass and take your first sharp sniff. Try to hold your inward breath for a few seconds so you can maximise the amount of time you experience the whisky scent. Are there any more flavours starting to come through to you? Be sure to write them down if there are. Repeat the sharp sniff again and this time try to think about what the flavours remind you of, any recent or childhood memories that you can relate the smells to? 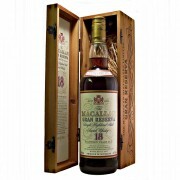 For example some whiskies have quite a distinctive christmas fruitcake flavour. Think about what it was like as a child when your parent or guardian was mixing and baking a christmas fruitcake. What ingredients did they use? What did it smell like when it came out of the oven? This will help you to identify some of the flavours you’re experiencing…Cherries, raisins, figs, rum possibly even a hint of marzipan? Are any of these flavours distinct in what you have just sniffed? Again try not to over think what you’re smelling. Usually our first impressions are correct. Being human we start to subconsciously second guess ourselves and over think the answer through fear of not wanting to be wrong. Remember this is your whisky tasting experience so there’s no right or wrong answers it’s all about the smells, flavours and scents you’re experiencing. Now take a sip of your chosen whisky, swirl it around your mouth, front to back, side to side, make sure to lift your tongue and push the whisky to the roof of your mouth. This way you can can experience the whisky’s taste across your full taste palate. Here we are looking for smoothness. Is it gentle, mellow, creamy, silky, rounded or sharp. How sweet is the spirit? Are there tones of honey, fruit, rich, spice, or malt bitter, salt, sea-weed? Are there smoky peaty notes? If the spirit has been finished in a second cask, for example a sherry or port cask, do those flavours come through? Do they match what was detected on the nose? Make a note of your first taste. How is the complexity? Does it feel pleasant, stimulating, well-balanced/matured/rounded? Are there differing high notes appearing? Finally the mouth-feel. Does the taste texture match what you observed when looking at the whisky? Is the last texture light, creamy, full bodied, robust, heavy? How is the after taste? Short, medium, long or lingering? 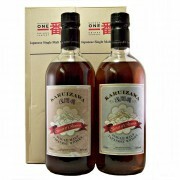 Again make a few notes for the smoothness, complexity and mouth-feel. If you’re using our free ‘Whisky Nosing & Tasting Memo Sheet‘ then be sure to complete Step 4, by adding notes and ticking the appropriate box or boxes. It’s time to go back to ‘Step 3 – Nosing’ and repeat everything you’ve just done but this time we are going to add a little water. By adding a small amount of still spring water, it should release more of the whisky’s bouquet and flavours on both the nose and palate. 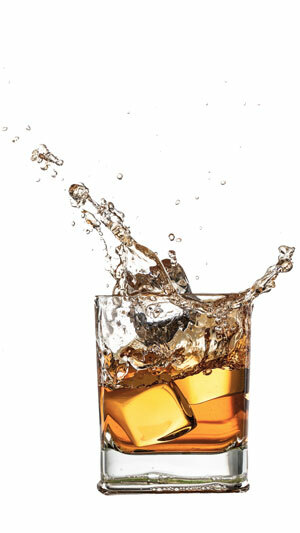 A general rule of thumb is to top up your whisky by adding (up to) 1/10th of water, so its really only a small splash you will need to add. Repeat steps 3 (Nosing) and 4 (Whisky Tasting) and make a note of any new flavours that start to come through or any differences in taste you experience. Now that you’ve nosed and tasted your chosen whisky and hopefully experienced all the wonderful smells, flavours and tastes it has to offer it’s a good idea to recap on your notes and write a little summary of your whisky tasting experience. Again if you’re using our free ‘Whisky Nosing & Tasting Memo Sheet‘ then be sure to complete the summary section in step 6. By summarising your whisky tasting experience you can refer back to it. This is particularly useful if you’re wanting to buy a certain tasting whisky again in the future. If you’re starting to develop a taste for a certain flavour of whisky then be sure to take a look at our ‘Whisky By Taste’ section. We’d love to hear your whisky tasting experiences so we can compare notes. Why not share your whisky journey with us right here at Whiskys. Connect with us on social media or if you have nosed and tasted one of the very many whiskies we stock then please feel free to add comments and share your whisky experience with other whisky lovers.